Since 1988, Soil Retention Systems, Inc. has been providing professional installation services for Soil Retention’s products – Verdura® and Enviroflex®. 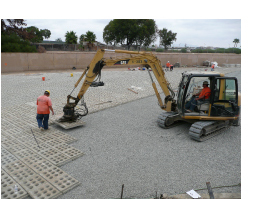 Soil Retention Systems, Inc. is a General Engineering Contractor with licenses in California (516900 A), Nevada (0070304 A), and Arizona (179494 KA). Every job is staffed with highly trained crews and state-of-the-art equipment. Irvine Company, Target, Costco, SDG&E, San Diego Zoo, Rancho Mission Viejo, CalAtlantic, Brookfield, Comstock, Taylor Morrison, Lennar, New Home Company, Pulte, Castle & Cook, and DR Horton. Contact us for a full reference list. 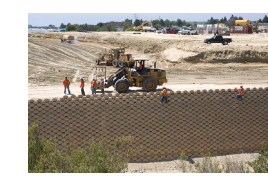 Soil Retention Systems, Inc. has installed more than 8 million square feet with a perfect track record of zero failures, production rates of 1500 to 2500 square feet a day, and a reputation for providing fast, efficient, quality installation services.